Every time I think the market for crossover vehicles is completely saturated, someone comes along with a new permutation that slices it even finer. Thus is the case with BMW’s X3, a vehicle that takes the classic SUV formula and puts a powerful, premium, car-based, sporty-handling twist on it. For people who need to haul car seats and groceries, but still imagine themselves picking the best line around a racetrack, it fills a niche. It’s interesting, then, that the X3 has a cousin, called the X4, that slices the market even thinner, making it the prosciutto of the automotive world. By giving the X3 a sleeker, fastback-style rear end — and slightly bumping up the price — the X4 is both less practical and more expensive than its X3 relative, which sold nearly 10 times as many copies last year. I suspected the X4 might meet the same fate as the Honda Crosstour and Toyota Venza, two short-lived cars that tried a similar “fastback for families” approach. But no. The X4 is back for an all-new second generation, and I spent a week getting a taste for what it offers. 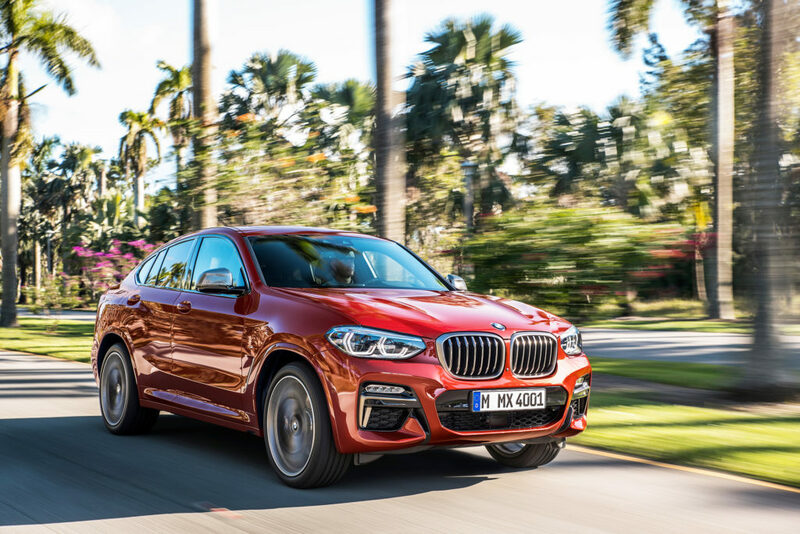 The BMW X4 enters 2019 with an all-new design. It retains its distinctive rear styling while gaining a wider track, better aerodynamics, a new suspension and a lower center of gravity. For starters, its handling is absolutely brilliant, just as one would expect from a BMW product. While I’ve always thought the idea of putting a sport-turned, corner-carving suspension on a high-riding crossover is pure madness, the X4 is legitimately fun to drive. If you need the attributes of a crossover — ample cargo space, good road visibility and the go-anywhere traction of all-wheel drive — getting a taste of sports-sedan excitement is a nice bonus. The engine in my tester is one of the smoothest four-cylinders I’ve ever driven. Called the xDrive30i — as opposed to the six-cylinder M40i — it uses a twin-scroll turbocharger to wring out 248 horsepower from just 2.0 liters of displacement. It makes the six-cylinder car’s 355 horsepower seem like overkill, although to be fair, overkill is part of the appeal of driving a European luxury vehicle. I also was pleasantly surprised at the fuel economy of my tester. It’s rated for 29 miles per gallon in highway driving, which seems remarkable in a vehicle that feels so solid, substantial and fast when you mash on the gas pedal. Inside, the X4’s cabin matches the body’s vibe. Lots of aluminum trim, an electric shifter, a big digital screen with a touch controller and a contemporary, wraparound design that flows smoothly from the doors to the dash gives it a thoroughly modern look. 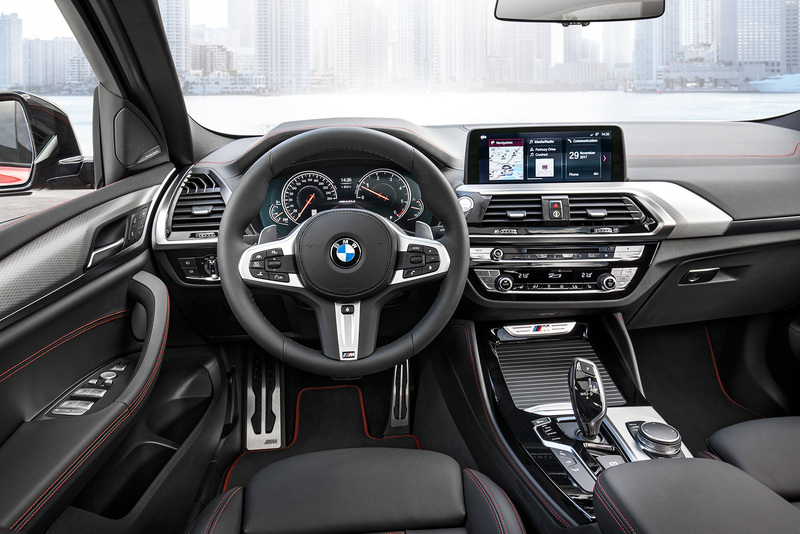 The X4’s redesigned interior matches its fashion-forward body with a contemporary, sleek look. Seats are similarly sporty, with an unusually firm feel for a crossover. Then there’s the good-looking but impractical elephant in the room: the X4’s signature rear-end styling. While the fastback look makes it appear sportier than the more brick-like X3, it definitely makes the rear seat feel more cramped, the rear visibility less clear and the rear storage less voluminous. Are those tradeoffs worth the X4’s sleeker, more aggressive styling? It depends on how much you like the fastback shape, a purely subjective decision. Pricing starts just over $50,000 for the xDrive30i, or $10,000 more for the M40i. Its sloping, coupe-like rear roofline makes it stand out amid a sea of lookalike crossover vehicles. Outstanding handling, power and refinement make it feel every bit a BMW.